Despite European officials talking about increased security measures, the region’s biggest countries are still on high alert, and attacks keep happening. Why does Europe remain so vulnerable? Will the situation change in the foreseeable future? RT discussed with analysts. Manchester police have confirmed the attack at Manchester Arena on Monday night was carried out by one person using an improvised explosive device. 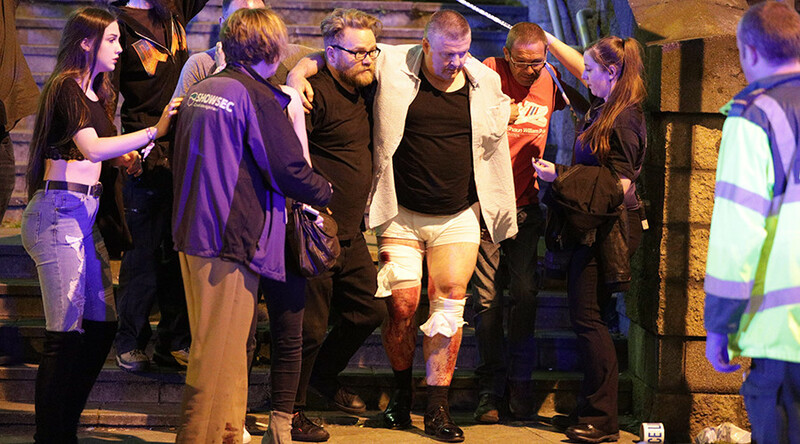 At least 22 people, including children, have been killed by the attack at a concert by American singer Ariana Grande. Over 50 others were injured. The threat level in the UK is regarded as 'severe' which means another attack is highly likely. 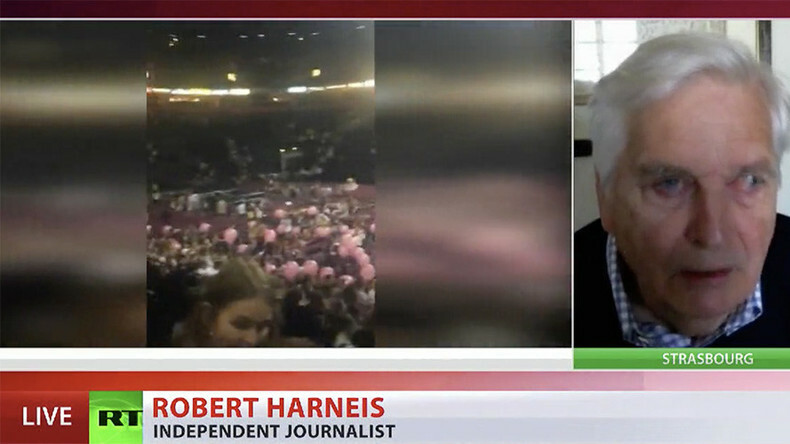 Independent journalist Robert Harneis compared the incident in Manchester with the November 2015 attacks in Paris by Islamist militants on the Bataclan concert hall and other sites in the city. “This is a similar attack on a soft target,” he said. In his view, terrorist attacks have become “a new norm” for European countries because of “what they do” as part of their foreign policies. — RT UK (@RTUKnews) 23 мая 2017 г. “We need to be realistic: we go into the Middle East and North Africa and attack other people…We go to these countries, and we cause bloody chaos. It is not very surprising that there is blowback. We have to sit down and think about what our foreign policy is; why we are in these countries; is it necessary for us to be involved in all this mayhem in Syria and Libya, in Iraq and Afghanistan, and so on,” Harneis said. The attack on Manchester happened on the fourth anniversary of the murder of Lee Rigby, a British soldier killed by two Islamist extremists in southeast London. Is there a possible connection here? “These attacks tend to have those sort of links that are clearly intended to be symbolic. It can be a coincidence, but I don’t think so,” Harneis added. 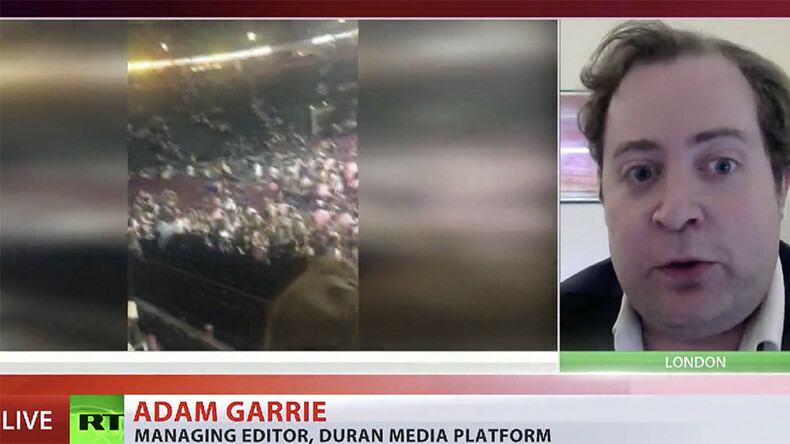 Adam Garrie, the managing editor at the Duran media platform, said that modern concert and sporting arenas in countries like the UK have a lot of security, including the bag checks, scanners. Political commentator and journalist John Wight, argues that despite efforts by security and intelligence it’s impossible to stop all terrorist attacks. “That is the reality. We live in open societies. Some of these attacks will, unfortunately, get through despite the extraordinary efforts of security and intelligence agencies throughout the world. Every intelligence agency is committed, regardless of the country, to intercepting and stopping these attacks before they can take place. They are successful in many instances in doing so. Unfortunately, they cannot be successful in every instance given the regularity and given the ubiquity of the fanaticism and the extremism in the world today emanating from the Middle East and events there,” Wight told RT. 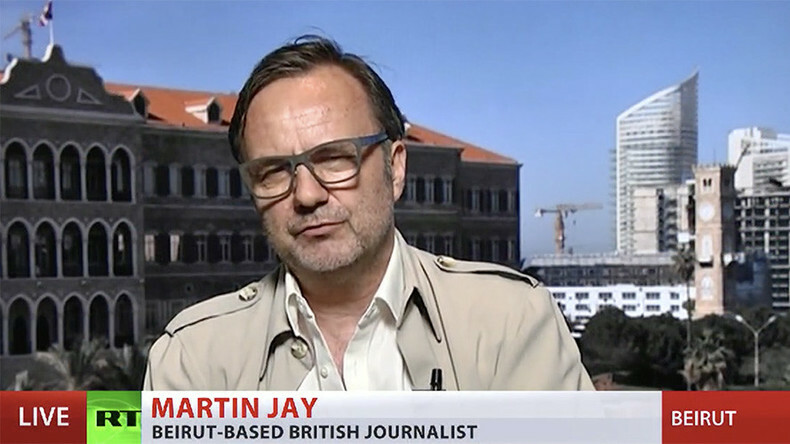 Beirut-based British journalist Martin Jay agrees such attacks are inevitable. “There is a real crisis, isn’t it, both at the EU level and on a national level for many EU member states. When we talk about security and data sharing, intelligence sharing and border security, the EU is way behind; it is just can't get the agreement on the member-state level with some of these various drafts that are currently going through the Brussels mill,” he said. “Tragically this sort of attacks is inevitable. If you look just at the Paris attack – it was another good example of EU rules failing. The actual Paris attacker arrived and crossed an EU border, was scrutinized by EU border security official, who even identified he had a fake Syrian ID, but ultimately let him in after a week in custody. The similar tragic story was with them in Brussels,” he told RT. He also noted that terrorists in the UK seem to pick symbolic places to carry out atrocities - like Parliament in March, or a teen concert now in Manchester. Jay said that’s part of “a sick twisted ideology behind these attacks” is to get maximum publicity. 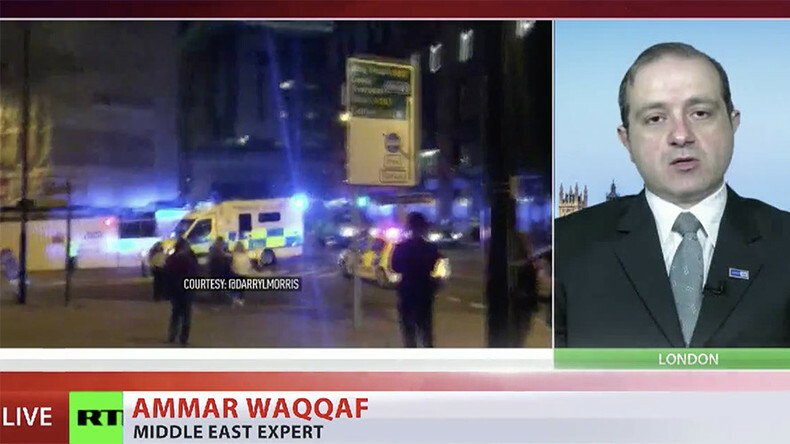 US President Donald Trump called the perpetrators of the Manchester attack “evil losers.” According to Middle East expert Ammar Waqqaf, that’s an attempt to avoid responsibility and lay the blame on someone else. — RT (@RT_com) 23 мая 2017 г.
Waqqaf also drew an example from what is happening within British society. “We understand that there is a lot of tension between Muslims now in Britain based on the narrative they hear from the news. There is a bit of friction between Sunni communities and Shia communities. They believe from what they hear is that there is a Sunny-Shia war in the region, and they are taking sides and becoming very extremely partisan, and that is not healthy at all,” the expert said.